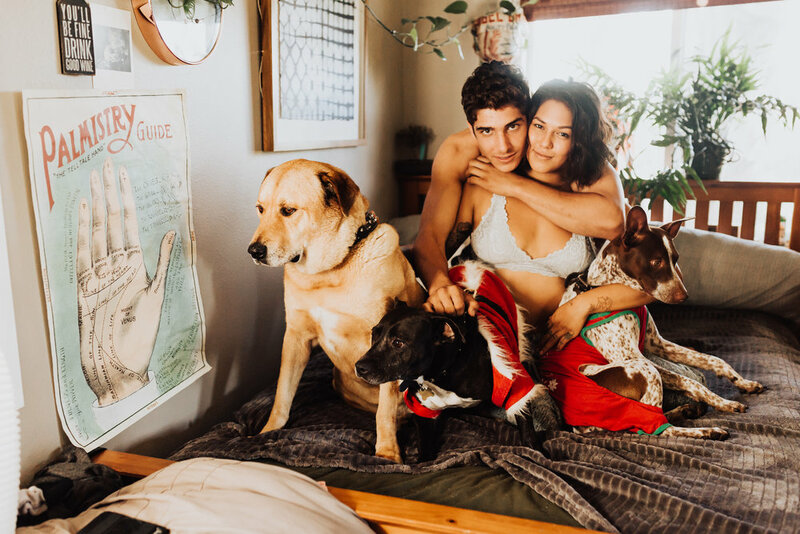 I had the most amazing opportunity to shoot with these two in their adorable studio with their 3 crazy pups. This was the cutest most intimate in home session I've ever done, and I'm completely smitten by the feel of these photographs. Mehana is an early bird, as am I, so we have no problem being up in the wee hours of the morning waiting for that sun to creep into their home. She had her coffee and vegan cinnamon rolls ready, best cinnamon rolls ever btw. 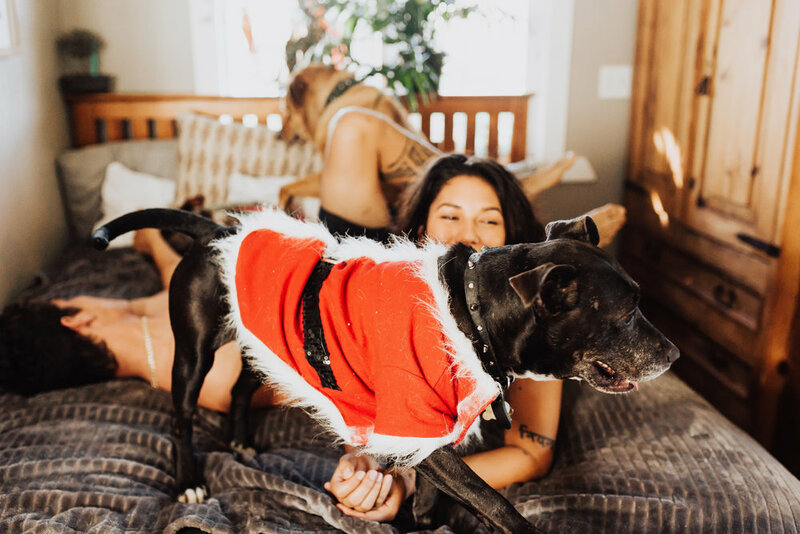 Their newest fur baby even had her Christmas costume on, so cute!